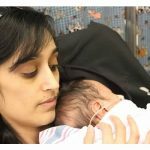 In our June edition of our Preemie Family newsletter we learned about 24-week, 5 day preemie Vihaan. Vihaan was born at 1 lbs 5 oz. and spent 109 days in the NICU before being discharged to home. Read more in an update by his mother, Parijat, below. Before we were married, my husband and I knew we wanted children and looked forward to building our family. But we knew we would have trouble conceiving due to some health issues that I have. When we lost our first baby during pregnancy, the reality of how severe my health issues were began to be apparent. But we still had no idea what we were yet to face. In May 2012, we had completed our first in vitro fertilization cycle. I remember the day well. It was an especially hot day for May and the sun was burning bright that morning. At that time, Vihaan was a little 3 day old embryo. We had no idea he would become our future hero. Immediately after embryo transfer, I experienced the first of 8 pregnancy complications and was hospitalized for a weekend. More complications began when I was six weeks pregnant. I began to experience a lot of blood loss that required me to see the doctor 2-3 times per week. From week 6 of my pregnancy I was put on bed rest at home. 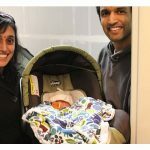 It seemed like a vicious cycle: Every other appointment, we were told that Vihaan wouldn’t make it. But then at the next appointment, there he was a bouncing little bean with a heartbeat as strong as a galloping horse. Things were looking brighter at an ultrasound appointment at 18 weeks. We found out he was a boy and we got the all clear that the complications seemed to be behind us. But the next day I went into preterm labor. Every other day I was calling into the doctor’s office telling them something didn’t feel right and seeing my doctors at least once a week. It was so scary to have to sit at home by myself wondering what was happening. At 22 weeks and 5 days I was hospitalized, already 3 centimeters dilated. Terrified didn’t begin to describe it. Doctors were able to stop my contractions with one round of medication. Again, we were hopeful that this was an awful scare that we could put behind us. But just a few days later, when I was 23 weeks and 2 days my water broke. It was one of the absolute worst days of our lives. I received steroid shots to help Vihaan develop his lungs. We held our breath and watched the clock. At 24 weeks and 5 days, despite all of the interventions to help me stay pregnant, Vihaan was born in 12 minutes. Sonil was still parking the car in the garage and even the NICU team wasn’t ready for our little fighter. He weighed 1 pound 5 ounces, the same as holding 4 sticks of butter and a baseball. He was as long as a sheet of paper. He was covered in tubes, wires and bruises, but we only saw his beautiful face. He stayed in the hospital for 109 days. He fought through 2 lung infections, was on the ventilator for almost 7 weeks, had countless blood transfusions and dozens of invasive eye exams. 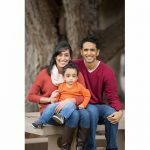 Through it all, Vihaan showed us a type of strength we can only hope to have someday. He came home, after zero surgeries, the day after his due date. My pregnancy and his NICU stay were a crash course in learning how to become comfortable with uncertainty. I had to learn very quickly how to focus on the aspects of this experience that I could control so I could be the best mom and advocate for my little baby throughout our entire journey to bringing him home. this fighter, who truly is our hero.